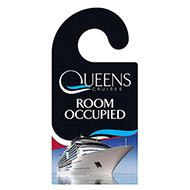 If you are looking to promote publicly with your customers, door hangers are perfect for you! Eye catching and efficient, our door hangers can be printed with your custom message and logo so "out of sight, out of mind" will not apply with this unique product. 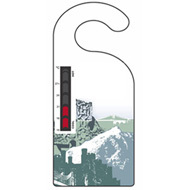 Available to order in full colour to both sides to suit your required branding style. If you are interested in using branded merchandise to promote your message, contact our friendly team today on 01245 382600.